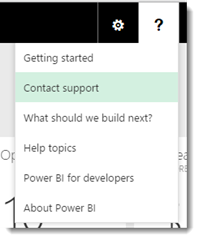 We have received a few calls regarding the Power BI Public Preview. 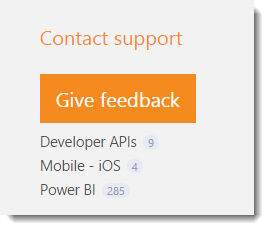 In some cases the customer wasn’t able to get the site loaded up when going through http://www.powerbi.com/dashboards. They would receive and error similar to the following. Sorry, that didn’t workThere’s a problem on our end. We’re working on it, so try again later. 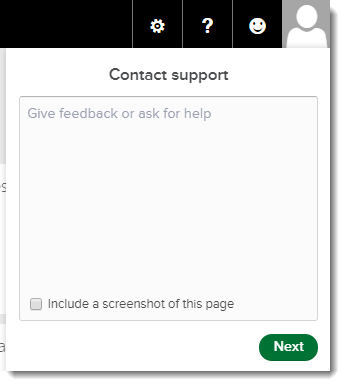 I wanted to talk about support options for the Public Preview in the event that you need assistance. 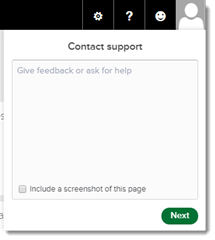 If you were able to get to the Preview site, you would be able to contact support by clicking on the ? 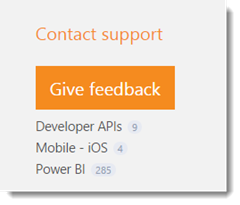 and clicking Contact Support. This would then bring up a dialog for you to submit your comments. Unfortunately, if you aren’t able to get to the actual Dashboard site, you won’t see this. 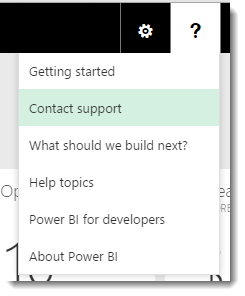 If that happens, you can go directly to http://support.powerbi.com and click on Contact Support. This will perform the same action. I cannot provide a specific timeframe for a response on these items.